Does Eating Breakfast Improve School Performance? A large body of research has demonstrated a link between eating breakfast and positive performance in school. According to a recent study on kids and how breakfast affects school performance and behavior, eating breakfast every day is "positively associated with improved school performance." And some research seems to suggest that the quality of the breakfast, that is, one with a variety of food groups, also had a positive impact. Conduct your own psychology experiment by examining the impact that breakfast has on academic performance or school behavior. Will students who eat breakfast perform better on a math test than students who have not eaten a morning meal? 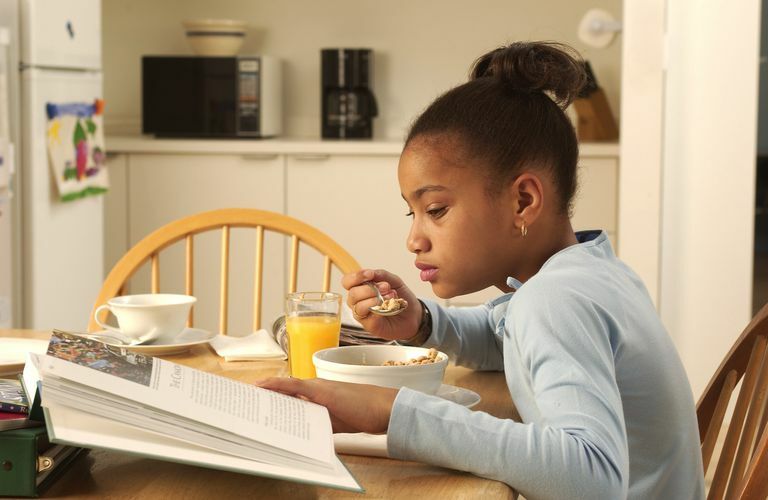 Do students who don't eat breakfast before school have a more difficult time staying on task? Does the content of the meal have an impact on school performance? For example, does eating a Pop Tart have the same beneficial effects as eating a bowl of oatmeal? What effect does eating breakfast have on vocabulary test performance? Does eating breakfast provided by the school produce different results than eating a breakfast prepared at home? Students who eat breakfast will perform better on a math test than students who don't eat breakfast. Students who don't eat breakfast will spend more time off-task than students who do eat breakfast. Students who eat a nutritious breakfast will perform better on an academic test than students who consume unhealthy foods for breakfast. Talk to your instructor about finding possible participants for your experiment. In some cases, other students in your class may act as participants, or you may be required to post ads looking for subjects. Be sure to get permission from your instructor before advancing any further. Once you have some participants, create the materials you will use in your study. For example, you may need to create a survey to ask students about their eating habits or a quiz to test students on academic performance. Finally, identify the key variables in your experiment. These variables will differ depending on the hypothesis you choose to investigate. For example, your independent variable might be "Breakfast Consumption" and your dependent variable might be "Performance on a Math Test." After collecting the data for your experiment, analyze your results. Did the independent variable have an impact on the dependent variable? Were the results significant? Prepare to report and present the results in the manner suggested by your instructor, such as a lab report or other type of psychology paper. Anderson ML, Gallagher J, Ritchie ER. How the quality of school lunch affects students’ academic performance. The Brookings Institution: Brown Center Chalkboard. Published May 3, 2017.